Stephen Smith (@pkstrk) is the author of Puckstruck: Distracted, Delighted and Distressed by Canada’s Hockey Obsession. Winter has had it in for hockey for a couple of years now, with all the willful warming it’s been doing. And while we’ve tried our best not to take the surge of planetary temperatures personally, it does kind of feel like an attack on our identity as much as our backyard rinks. Can you blame Canadians for feeling persecuted? 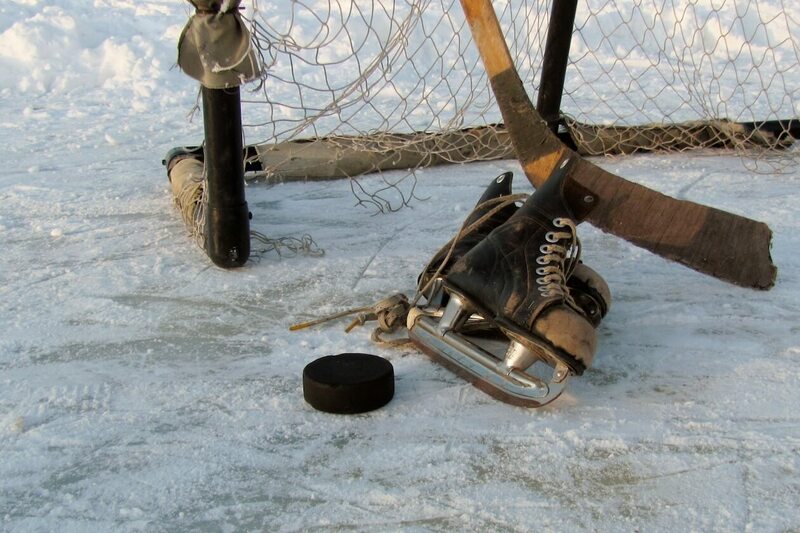 Nature’s punitive thaw is only part of the existential crisis that hockey—our game—finds itself facing. Across the country, simpler, safer, come-from-away sports like soccer and basketball are luring kids and their parents from the ice. Armouring up for hockey is expensive, plus why risk the concussions? Over at the NHL, the men who run the low-scoring, high-gloss league are still disputing the link between hockey head traumas and the cumulative damages it’s doing to brains. Collecting franchise fees from new teams in the Nevada desert rather than returning hockey to Quebec City isn’t a symbol of just how far the game is straying out of our national interest, though it does seem like one. We can’t even claim, as we’ve done in other beleaguered eras, that the players are still mostly ours: last season, for the first time in a century of NHL hockey, the league’s content of Canadian-born skaters fell below 50 percent. Without hockey, what is Canada but a vast archipelago of Tim Hortons drive-thrus set amid a loose tangle of pipelines awaiting approval? Another traditional curative of ours in times of hockey crisis involves whomping foreigners on international ice. Sure, we won the World Cup, but Canadian juniors and women were both bettered by US rivals in recent world championships. The news earlier this month that the NHL has put a nix on going to the 2018 Olympics is an international shame, but doesn’t it feel like it’s us Canadians who are being singled out and punished? It wasn’t long ago that Ken Dryden, the game’s resident conscience and better angel, was raising his voice to warn that hockey was in danger of drifting out of the mainstream. The game’s indifference to its own wanton violence, he argued, was steering it into outright irrelevance. Even with fighting on the fade, does hockey seem like it’s corrected that course? Once, we might have thought about fixing hockey ourselves: restoring its glory via a Royal Commission whose report we could look forward to disregarding. Too late for that—it’s a matter now of stabilizing the patient. To do that, it is time that we followed the lead of Belgium’s shrimp fishing on horseback. Never having seen this cavalry with my own eyes, I’m going on what the United Nations tells me. According to the UN’s cultural arm, UNESCO, the mounted fishermen who once so abundantly dragged nets on the shores of the North Sea at Oostduinkerke were a dying breed—the practice was being maintained by a mere twelve families. It’s not that Belgian coastal shrimps wouldn’t get to market without the horse fishermen: what was at stake was the tradition, the way of life. The Belgians didn’t want to see the end of that, nor did UNESCO, which is how fishing via horse ended up on the latter’s Convention for the Safeguarding of the Intangible Cultural Heritage. Since 2008, the Convention has been doing the noble work of identifying cultural “elements” from around the world deemed to be under threat of “deterioration, disappearance and destruction.” Joining the mounted shrimpers of Oostduinkerke on the list are the practitioners of Silbo Gomero (the whistled language of the Spanish island of La Gomera), and those dedicated Mongolians who practice their coaxing ritual for camels. Can we get hockey added? We can try. The Convention isn’t going to save the game, or return its lost glory. Think of this, instead, as a first step—or maybe a second: what comes next after the CBC has convened all the earnest panels and emergency call-in shows it can possibly organize. It’s not clear what actual benefits hockey might reap. Ireland was recently thinking of trying to designate hurling, a hockey knock-off, and they thought that the attendant publicity might be a boon to the country’s tourism. So I guess there’s that. Otherwise, I think much of the value is in the designation itself, and in our willingness to admit that our game is fragile. Right now the register runs to 429 intangibles, from 113 countries. It’s not a competition between nations, but if it were, we’d be losing. China has seen thirty-nine of its cultural practices recognized, including the watertight-bulkhead technology of junks. With flamenco, the Mediterranean diet, and falconry, among others, Spain is in for sixteen. Canada? Not a one. In this, the 150th year of our confederation, the time is right. Maybe I’m wrong, and hockey isn’t in a death-stagger towards its demise. Possibly, like Jaromír Jágr, there’s life in it for a few more seasons—or ten. But is it worth the risk? Without hockey, what is Canada but a vast archipelago of Tim Hortons drive-thrus set amid a loose tangle of pipelines awaiting approval? I’ve already downloaded the forms, so I can get things going on the national behalf. It seems straightforward—is there anything more intangible, after all, than the allure of our beautiful, brutal game that embodies so much of us: our spirit-of-’72 get-it-doneness, our hand-eye coordination, our haircuts? It distills our—I would have said Canadian values if Kellie Leitch hadn’t corrupted the whole notion entirely. Let’s at least give it a go. We can start with some defining. Is hockey an “oral tradition or expression” as opposed to a “performing art”? Or maybe a “social practice, ritual and festive event?” And what’s the best way to frame it for UNESCO? Hockey, What Else Were We Supposed To Do With All This Ice? There are some possible hiccups, though. Prospective protectees do have to “be not incompatible with existing human rights instruments as well as with the requirements of mutual respect among communities, groups and individuals.” UNESCO reps might have something to say about hockey’s rich heritage of stopping the game so that men can punch one another on the head. We can probably convince them that this is an essential part of the game. It is, after all, the line the NHL has been selling us for years.